Analytics is ubiquitous in today’s contact center. It is at the core of everything needs to succeed in the customer experience economy. My adopted home state of Arizona is one of the eight states that the famous U.S. Route 66 passes through. Route 66 starts in Chicago and heads west until it terminates in Santa Monica, Calif. And as the song suggests, it’s still possible to get your kicks on Route 66, especially in Arizona. In the 1950s, Route 66 became the main highway for vacationers heading west to Los Angeles and to get to Los Angeles on Route 66, vacationers had to go through Arizona. Along Route 66 in Arizona you’ll find such iconic points of interest as Meteor Crater, the Painted Desert and one of the seven wonders of the world, the Grand Canyon. But apparently the good folks of Arizona thought these icons weren’t going to be enough to get the westbound travelers to stop and spend money in the Copper State, so roadside attractions began to pop up. If the Grand Canyon couldn’t get drivers to stop for a while, perhaps a reptile farm could. In any case, Arizona became a mecca for some of the oddest of odd roadside attractions. The signing of the Interstate Highway Act in the late 1950s marked the beginning of the decline of Route 66 as modern, multi-lane highways were built parallel to Route 66, bypassing many of the surface streets that ran through the towns located on Route 66. Not surprisingly, many of the businesses in these towns went into decline and in the case of Oatman, Ariz., the entire town itself was abandoned. Many of the roadside attractions that enticed Route 66 travelers to stop along the way also began to decay over time. In 1987, the first of several Route 66 Associations was formed in Arizona with the objective of trying to save and landmark the old motels, neon signs and roadside attractions along the Mother Road. In 1999, President Bill Clinton signed the National Route 66 Preservation Bill that provided $10 million in matching fund grants for preserving and restoring the historic features along the route. That’s why here in Arizona, we have Giganticus Headicus. Giganticus Headicus is a popular Route 66 roadside attraction. Among the roadside oddities you’ll find along Route 66 in Arizona such as The Thing, Bedrock City, and the Wigwam Motel with its conical cement tents, you’ll also find in Walapai, Ariz., a 14-foot-tall tiki sculpted of metal, wood, chicken wire, Styrofoam and cement. Dubbed at some point Giganticus Headicus, the Easter Island-style head sits in front of what was once the Kozy Corner Trailer Court. It seems like it wasn’t that long ago that analytics was seen as something of an oddity in the contact center industry. While the term itself was being thrown around in the late 1990s, I don’t think a lot of people really knew what it meant or what kind of impact it was about to have on the contact center industry. I remember first hearing the term “analytics” being bandied about and thinking how cool it sounded even if I didn’t know exactly what it meant. When I looked the word up in the Merriam-Webster dictionary, analytics was defined as, “The method of logical analysis,” which kind of demystified analytics for me, but it also raised as many questions as it answered. Beyond logical analysis, analytics in the contact center means the discovery and interpretation of meaningful patterns in structured and unstructured customer data, and applying those patterns to effective decision making. In many cases, analytics gives new life to unused and often neglected customer data. Today, analytics can be found just about everywhere in the contact center. It’s no longer exclusively relegated to the world of quality management. 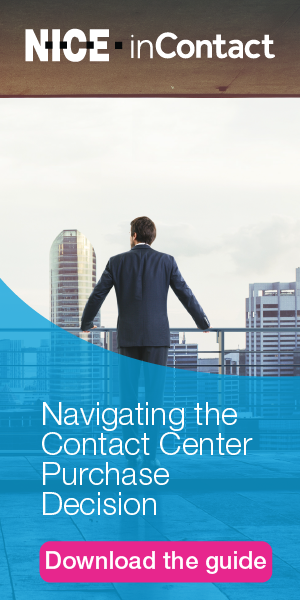 In fact, analytics touches just about every corner of the contact center. Any contact center solution that is purchased today relies on, or interacts with, analytics in some way. Analytics is ubiquitous in today’s contact center, which is the reason I have decided to bestow upon it a binomial nomenclature. Like Giganticus Headicus, Analyticus Ubiquitous is no longer a curiosity, it has become an integral part of the contact center landscape. Analytics is as important to today’s contact center as the Grand Canyon is to Arizona’s Route 66.